In the past couple of hours, it’s been revealed that Verizon and T-Mobile US have filed paperwork with the FCC to ask its permission to swap high-frequency spectrum. This goes along with earlier reports stating that the two were looking to do a deal on spectrum, and VZW stating that it was open to swapping. Within the filing, there’s no mention of any money changing hands. This is simply a case of both the carrier’s looking to shuffle their airwaves to best suit their own purposes. It’s although worth noting that this deal is separate from any bid from T-Mobile to buy A-block 700Mhz spectrum from Verizon. This particular spectrum swap is all high-frequency, and relates to urban – and not rural – areas. I know many of you are eager to know what Tmo’s plans are for spreading some 4G love to the out-of-city areas, and sadly, this news won’t benefit you at all. But, if it’s any consolation, it’s worth remembering just how much T-Mobile’s coverage has expanded and improved since the beginning of this year. If this swap goes through, and the A-block spectrum bid rumors become reality, it’ll put the magenta carrier in a great position to expand further. magenta’s future looks good even without any huge mergers. go away sprint nobody likes you. I wonder if Tmo is getting more spectrum in Cincinnati, Ohio! It’s a huge city that they are lacking LTE in..
One can only hope! !, but based on some articles depicting the areas where the swapping will take place, poor Cincinnati is nowhere to be found. We desperately need some here. do you have a link to which areas will be getting spectrum? I wonder which areas are losing spectrum too.. I read it on the report that came out, it listed markets that were going to gain and loose spectrum. I don’t have the link. On an unrelated note, I noticed on my phone it’s now registering (DC)HSPA+42. if indeed this is accurate(which I have no doubt it wouldn’t be, since I’ve always shown HSPA+21) this should be a good sign.(Hoping). Verizon owns AWS only on the East Sea Board and Mississippi Valley a-little in Dakotas. So maybe some AWS will purchased in Ohio. Maybe even in SC. and other areas that need improvement in holdings were LTE isn’t the bet. My city only has 5+5 LTE so maybe T-Mobile will want some more AWS holdings to improve. But we’ll see soon. Hey Jay, are you using your phone and an access code to hidden settings find out what type of coverage T-Mobile has or a website that has it listed? ie- 5+5 or 10+10 etc. I’d like to find out what the coverage is where I live. It may not work, though. What kind of phone do you have? That’s weird…says LTE DL BW: 10MHz for me. Lol yeah, only for LTE. I’m in an HSPA+ only network at the moment. Sony Xperia Z. That code doesn’t work on this phone. There is *#*#4636#*#* which brings up the Testing Options and phone information. From there I set which network I want the phone to use (LTE/HSPA+). It list information such as signal strength, location, etc but nothing that would indicate the MHz coverage. Ah…I’m sorry then, I don’t know what to tell you. Be blessed that you have LTE even if it’s only 5+5 (from a city that is still on HSPA 21). You’re in Cincinnati right? :/ I’m in Dayton but i keep tweeting John Legere about how Cinci needs LTE! Yeap…I might have to start sending him tweets myself. Dayton is only on 5+5 LTE right? I always forget to check when im up there. Not sure if this is leading to something good soon or not, but I noticed last night, my phone is now registering (DC)HSPA+ 42. Both in Covington and Florence. Speeds however are relatively the same, a tad more consistent though. But heck I’ll take anything that comes this way! I saw…im jdogg on the other website…lol but I will check here in West Chester then when I get home. do you notice any difference with the speeds? and yes I agree, I normally don’t get jack, during the Bengals games. LOL.. ok, thanks for the clarification, jdogg. All this attention to urban areas is going to backfire on T-Mobile. Legere needs to get his head out of the urban sand and drive around the country. Experience some wonderful T-mobile GPRS service and slow as snails EDGE. Let’s see him send some cutesy tweets in between cities with his phone on GPRS. I hope its rejected but cricket has nice holdings in the west of mississippi and U.S. Cellular has nice 700mhz holdings in the west of mississippi so the best thing for T-Mobile right now is U.S. Cellular and leasing towers from Crown that AT&T sold. This time next month most likely AT&T will have full ownership of Leap/Cricket. Also, AT&T will aggressively attack the prepaid market. They will merge AIO to the Cricket brand. Also, I think I read somewhere Cricket has like 30,000,000 pops of spectrum they haven’t used. AT&T said they will build that out right away to improve their high speed data network. So T-mo might be taken some of AT&T’s postpaid but AT&T will take some of T-mo’s prepaid from T-mo,GSM, and Metro. Imagine unlimited talk and text and web of 2.5gbs of full AT&T LTE speeds for $55. We will be seeing JUMP alright of people to Cricket. So T-mo had a good year but I do expect to see some people going to the new Cricket once AT&T puts out GSM handsets branded for Cricket that run on AT&T’s network. T-mobile mite try to compete but they won’t do so by making a bid for Cricket the deal is pretty much done with AT&T they will own Cricket most likely next month. The U.S. Cellular AWS spectrum for the Mississippi Valley region was already approved in October 2013. Some folks in the country don’t even know what GPRS is. Straight GSM reception for them. T-mobile can’t afford to do this, why does no one get this? They have less than half the customers of ATT/Verizon. Seriously, do the math. Why would they bother deploying in regions that don’t have many customers. That is a presumption that you are making. If they do not build out, they will never be able to compete for those customers. With T-Mobile’s plans and other services, I believe they can snatched some customers from AT&T and Verizon, but they must get in the game. Updated technology across the entire network will save them money in the long term and make the network easier to upgrade in the future. It is about synergies and customer loyalty. When people travel they want consistency and reliability, T-mobile must find a way to compete for more customers. And customers want coverage and fast data speeds. They are already on the right path, but with all technology, as it advances, the carrier must advance as well for the benefit of society and its business. It’s hardly a presumption to conclude that, with over 60 million fewer customers than either AT&T or Verizon, and a lower per capita income from each customer, there is a shortfall in funding to be able to build out a comparable network. With 4G (LTE or HSPA+) capabilities in markets serving 229 million customers, but with just 45 million customers in total themselves, it stands to reason that TM see their greatest potential for growth and impact for investment coming from those areas. They have, at most (assuming all their customers are urban dwellers) a 20% urban market share, with a potential to grow a further 184 million. Compare that to the markets where they have no 4G and which would require maximum investment to increase growth. There the maximum potential is around 87 million additional customers. Of course, neither of those potential numbers is realistic, but it serves to illustrate that there are far more customers to target in the areas that TM it’s concentrating on, and with less investment per customer required. The potential rate of return from their current strategy means that it makes absolute sense to optimize the urban position first in order to secure a revenue stream that could fund future investment in rural areas. I’d love to have access to a comprehensive nationwide network, as I have one periodic travel arrangement which takes me outside of TM coverage, but I recognize that it’s the price I pay for having good service 95% of the time, at a price which is extremely satisfactory. I still do not understand why T-Mobile keeps this 229 million POPS number. Why not 250 million POPS or 275 million POPS? I understand that they cannot blanket the entire network with LTE coverage, but updates should gradually spread. 37,000 towers updated are not enough. So as everyone moves to Voice over LTE, then what should T-Mobile do about their 2G sites, just not have LTE coverage and rely on roaming? I believe they can afford to upgrade another 5,000 or 10,000 towers in 2014 instead of upgrading the same towers time and time again. Broadening 4G coverage is just as important and increasing data speeds and capacity in the same urban areas. I just want to make sure we as customers hold them accountable for at least trying to compete instead of excusing them from the game. This time last year the 4G HSPA+ coverage reached 225 million POPs, so there has been expansion this year, though obviously not as much as you hope for. You seem to be continuing to ignore the return on investment considerations that every business must address. 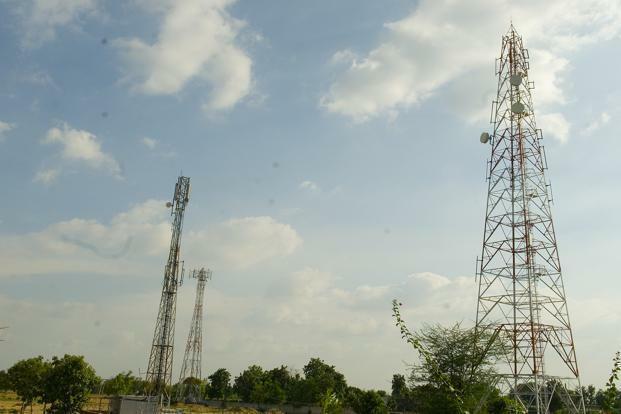 Upgrading towers that only serve a small number of potential customers and an even smaller number of actual customers represents a very poor investment, when the return on that investment cannot ever reach an effective level because of the population ceiling in the area. Upgrading rural towers doesn’t just involve updating the equipment, but also will require improved backhaul. That, in itself, is a huge challenge because of the lack of fiber infrastructure within usable range once you get outside the suburbs. In addition, many locations will lack the spectrum needed to be able to support legacy 2G requirements as well as the later technologies. I say again, the future of the business depends on maintaining a competitive position in those markets that offer the biggest potential for growth. TM has a chance – for a while – to sit atop the technical tree in urban areas when the industry pushed towards LTE-A in 2014-15. It’s there and then that they have a chance of achieving substantial growth, representing a huge return on investment, which could finance expansion in other areas. Do it the other way round, and you sink all your money in a strategy that cannot possibly make a satisfactory return on the investment, while starving investment in those areas that do have that potential. The fallacy in this argument is that many people in metro areas are not with tmobile because of coverage issues elsewhere, not coverage issues in metro. I live in a metro area where tmobile has reasonably good coverage- not as good as att but usable. Many people I know have other carriers in spite of this and that is because they need better coverage outside of the metro area. So the elephant in the room is not actually IN the room. The presence of iphone has helped tmobile and it will continue to do so because many who desired iphone in the past and were willing to consider tmobile will give it a chance when their contracts are up. att discounting those coming off a contract will make it harder for tmobile to attract those subscribers. Family/share plans also reduce the cost differences for subscribers. But even if as many as half of those in the urban areas were not customers of TM because of coverage issues outside the cities, it would still represent a more cost effective approach to target the rest of the 92 millions POPs in the areas that already have 4G coverage, than the 87 million who live in rural areas. I know you meant ARPU; your language is supercilious. Supercilious? Because I used “per capita”? I’m sorry you are offended, but I’m 60 years old, studied Latin for 7 years, was raised in England and have been accustomed to that kind of language in business for almost 40 years. I may be an old fossil, but I had no intention of offending or belittling anyone. read my posts below. It is possible to improve coverage (depending on whether tmobile has spectrum or is acquiring it soon) without building too many towers. I am not wireless n/w engineer but I think that big towers and antennas are not always needed to boost coverage. Micro/pico cells extend coverage and need significantly less investment. Then you can have radio equipment feeding off these. at&t has been deploying these in 2013 and in 2014, they plan to deploy them in ever larger numbers (verizon is doing this, too). I expect that in 2014, at&t’s network will be the one to beat. They will blanket the continent with wireless. T-mobile please stay away from sprint, and we need strong LTE penetration in buildings and 4G coverage in rural area where it is edge. Go t-mobile !!!!!! is anyone having problems with tmobile service in LA?? I cant get data working on my lg g2 my moms galaxy s4 and my dads iphone 5s hspa or lte aint working at all and for some reason lte dissapears in places i normally have good lte hspa also aint working at all! calls either or txts our phones have full bars hspa but nada is working !last time this happend was when they made hspa and lte faster so maybe they ficxing the network?Hopefully this means they upgrading the network to make it faster! The gurl that works with me is also frustrated her tmobile galaxy s4 nothing is working . So we both using wifi for calls and data . hopefully we also get a speed boost in LA before i would only get 10 toPS on lte ,58 would be nice even 30 haha thts why im not complaining of the service acting funky today because im hoping once they finish with this and servcice goes back to normal i will see a speed boost one can only hope..
No problems for me in Ontario, CA. Pulled 20’s down today, and the same in City of Industry earlier, too (I just can’t stop running speed tests since getting my Nexus 5. LTE in the IE is so much more stable and prevalent than HSPA+. the stuff from Verizon isn’t but there are other licenses they can buy to fill in the gaps. It’ll cost T-Mobile around $7billion to buy all of these assuming they are for sale. Too much hassle. I rather T-Mo keep their Billions for better use (like upgrading the 2G towers and expanding 1900 HSPA+ & LTE coverage) and just wait til the 600Mhz auction. It’s not very worth it for T-Mobile to upgrade the 2G towers as long as they don’t have sub-1GHz spectrum. That’s what they’re waiting for — once they have the right spectrum, they’ll upgrade and expand coverage. What they should do is get some type of contract like verizon did with getting towers at all the nfl stadiums. Maybe sign a contract with walmart and get tmobile towers on those. Imagine it! An LTE tower at all walmarts. A lot of small towns would get really good signal coverage. Of course I’m no pro at this so this could be a horrible idea but hey who cares. It would cost far more than $7 billion to try and provide rural HSPA and LTE with AWS and 1900mhz bands. It would require a lot more towers to do that than it would to provide rural coverage over 700mhz. It’s simply uneconomical. That’s why they’re trying to get low frequency spectrum instead. that is not really true. There are ways to improve coverage without installing towers everywhere. Lower frequency waves lose less energy over distance but that is where their advantage stops. Micro/pico cells can counter that disadvantage. Low frequency spectrum will not magically solve tmobile’s problems. OTOH, they can do a lot to improve coverage even without that. In urban areas where tmobile’s coverage is poor, low frequency spectrum will do NOTHING to alleviate the situation. They will have to improve signal strength by increasing cell density. Once they do that, coverage WILL improve. There is no work around for that. @disqus_m3KM1QWaSE:disqus & @Danny S. – You guys are right, it would be expensive. But I wasn’t talking about new towers, just upgrading the ones they have now that are only 2G (I don’t have this problem since I live in the Seattle metro area) to atleast HSPA+. Then once its time, bid for a good amount of 600MHz spectrum. The 700MHz A-Block spectrum from Verizon is not nationwide, so it’ll be kinda pointless to spend money on that. nothing to do with it but has anyone tried out tmobiles international plan? i used it 4 days in mexico city AND its way better than when i had att and paid a lot for roaming and data wasnt that bad on my lg g2 roaming under telcel mx i got an “H ” icon but was getting less than 1 mbp dwn but data was still usable for facebook,email and pandora no buffering honestly i cudnt be happier when i had att it would also roam on telcel but alot more expensive and the only time i used data on att while roaming my bill was 800 bucks nvr going dwn that route again now everytime i go to mexico i will take tmobile. I am out in Kuwait and get the H icon too. The networks out here max at 21 Mbps . LTE is still its infancy so the speeds I am getting are fine. All my friends are floored to see me using my T-Mobile phone with its American SIM without worrying and a couple of friends who didn’t know I was here were surprised to hear I was getting free Wi-Fi calls home. Rock on T-Mobile… ROCK On! When you text your friends back in the U.S do they get charged by their carrier for the texts? Yaaaaaay. Shoulda held onto that T-Mobile stock haha. Sold at $23 tho so not too bad. Yeah I still watch it. Not gonna beat myself up over it – bought in at 16.9 and profit is profit!